Hi guys, we have big news for you today : we’re back on Kickstarter! Starting February 15th, you will have the opportunity to support us on a new crowdfounding campaign based on a brand new vision for Edge of Eternity. 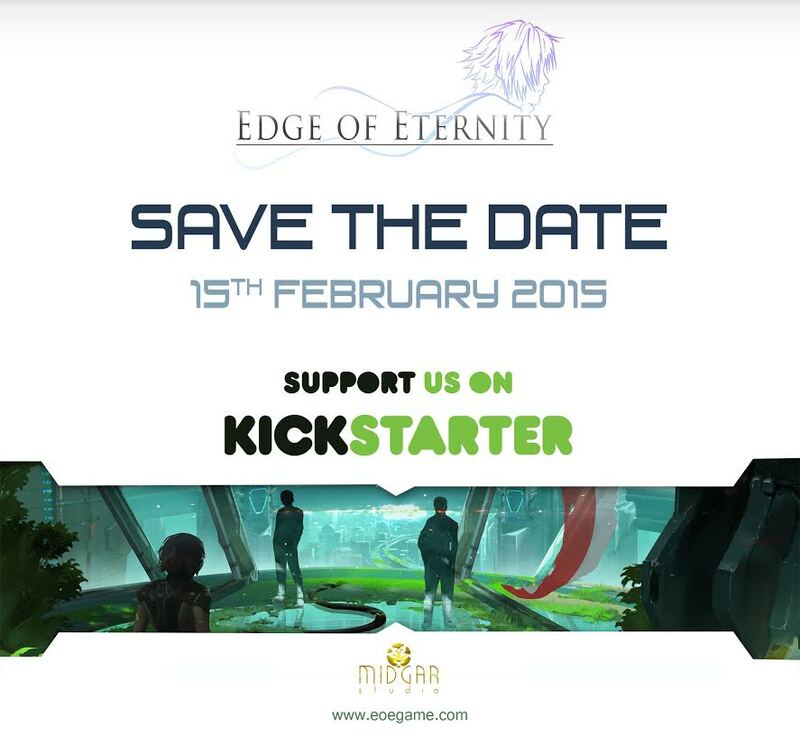 As you may know, in 2013 we started and cancelled a first kickstarter for EoE. You’ve been very many at this time to tell us that what you expected was not a mobile game but something much bigger. Challenge accepted! More than one year of hard work later, we are very proud to introduce you to Edge of Eternity “next gen” for PC, MAC, Linux and PS4 and Xbox One (if you help us achieve that!). And we are not back empty-handed. By February 15th, as the Kickstarter begins, you will have access to a “Kickstarter Demo”. Rather than written promises, we thought this demo was the best way to show you what we intend with Edge of Eternity: bring you back the fun of classic JRPG with a 2015 touch of modernity. It is of course work in progress and we will need as many honest feedbacks as possible. We will look forward to your comments. So save the date (February 15th!) and help us achieve our dream on Kickstarter. Feel free to spread the word everywhere. You can tell your friends, call your cousins, share on Facebook, Twitter, even Google + ! Our destiny will be in your hands!Thanks a lot for your support. Jeremy, Ugo, Cedric and Julien from Midgar Studio.